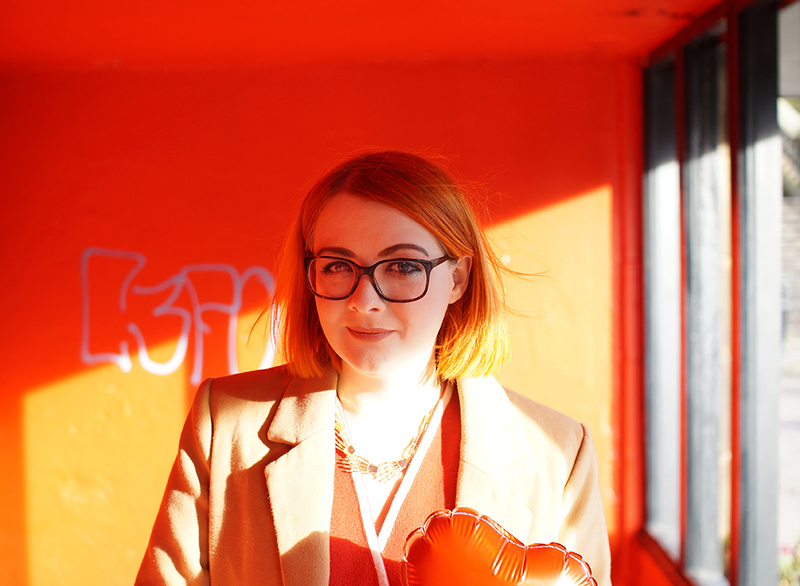 In celebration of Galentine's Day we invited Blogger babe Emily from Frankly Ms Shankly to Be Our Guest. 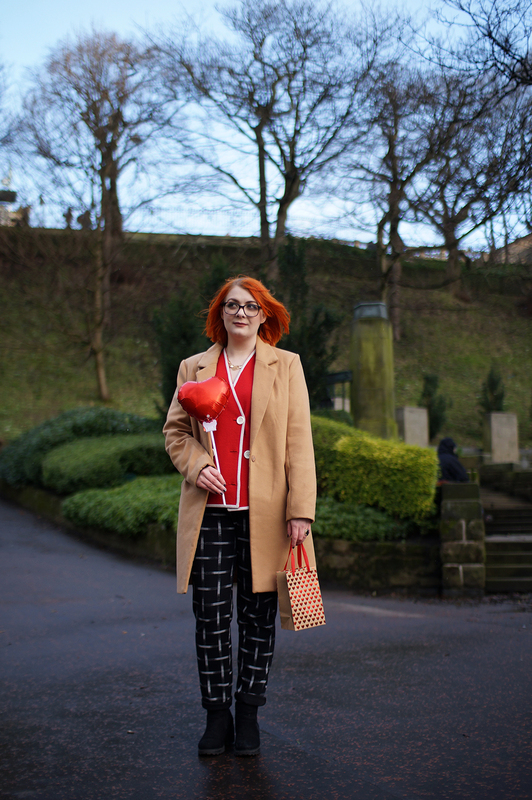 We first met Emily at the Edinburgh Bloggers Afternoon Tea and we've been bumping into her at events ever since. 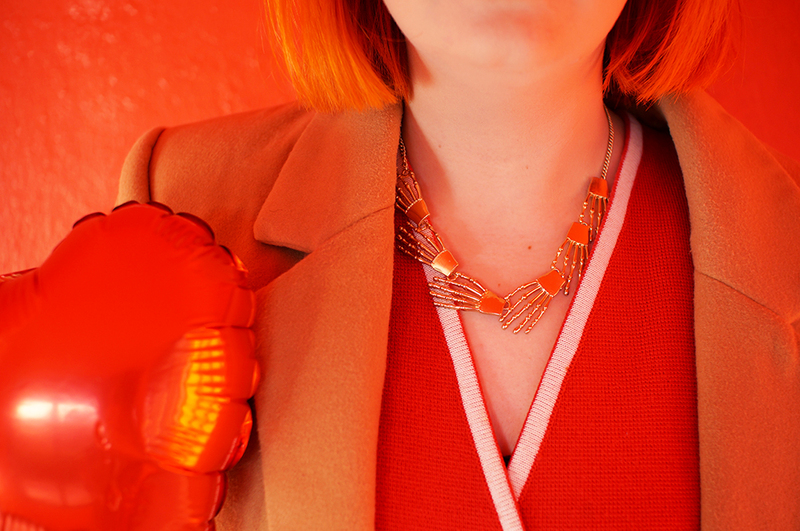 She's been our blogger crush and we've loved keeping up with her style and foodie adventures on her blog. So we thought it was about time we spent some quality time with her. The concept of Galentine's Day is quite a new thing for me. I actually only heard about it for the first time last year whilst watching Parks & Recreation. Generally I am quite a cynical sod when its comes to Valentine's Day. Yes it's great to spend a day showing a loved one how much you, well, love them but I think too many people put so much pressure on the whole day. So why not spend it celebrating all the loved ones in your life? 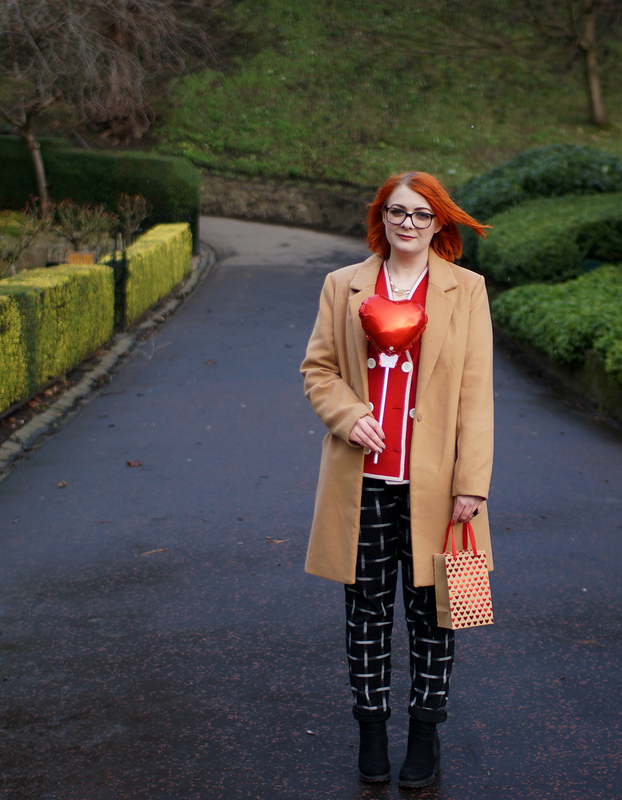 My plan for this Valentine's Day is to actually spend the afternoon with two of my favourite ladies and talented bloggers; Love from Lou Lou & Little Katie's Little Thoughts. Later in the day I will of course be spending it with my wonderful other half. To me that sounds like a perfect way to spend the 14th of February. When the Wardrobe Conversation girls asked me to be their Galentine's Day date, I was of course honored. The day of our fabulous photo shoot with Boya Shen, winter decided to rear it's head. Though it was ridiculously cold, we had such a fun little afternoon. 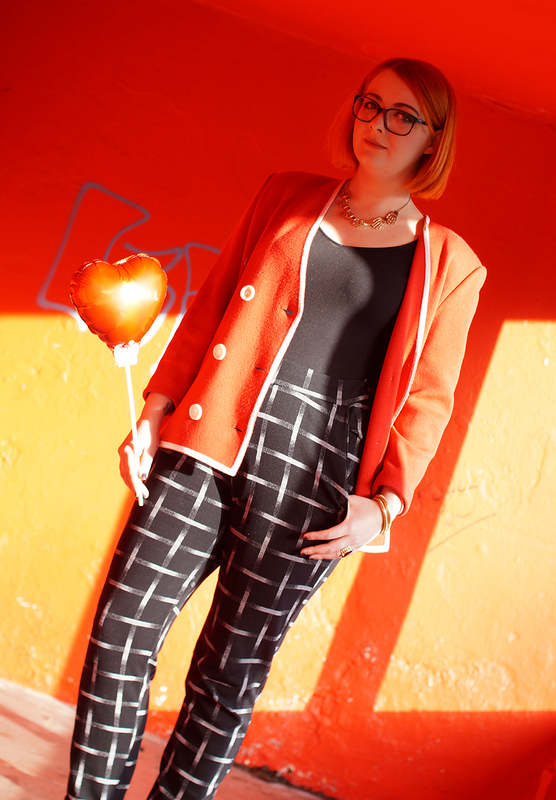 Full of red hearts, fun homemade cards and macarons. The perfect Galentine's Day out. Pink and red tend to be the main colour theme of Valentine's Day but I think that still tends to apply with Galentine's Day. This left me with a little conundrum. 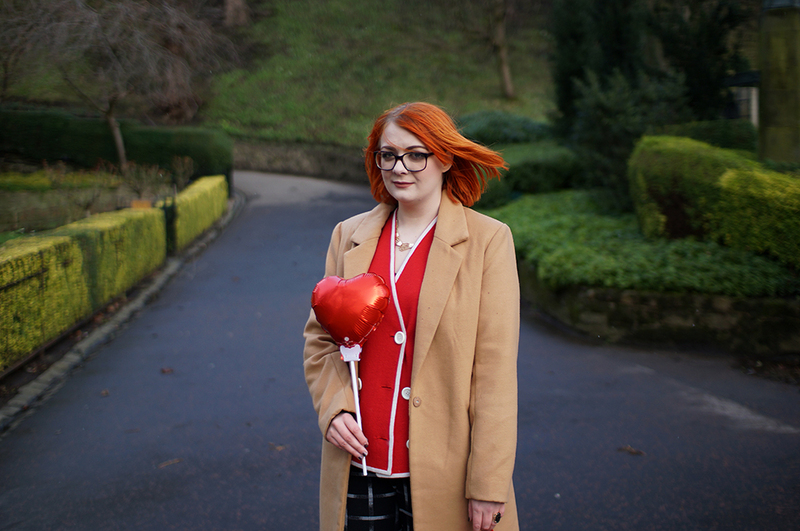 Having hair that resembles a bottle of Irn Bru, red and pink don't tend to be my favourite colours but that doesn't mean I should completely rule them out. 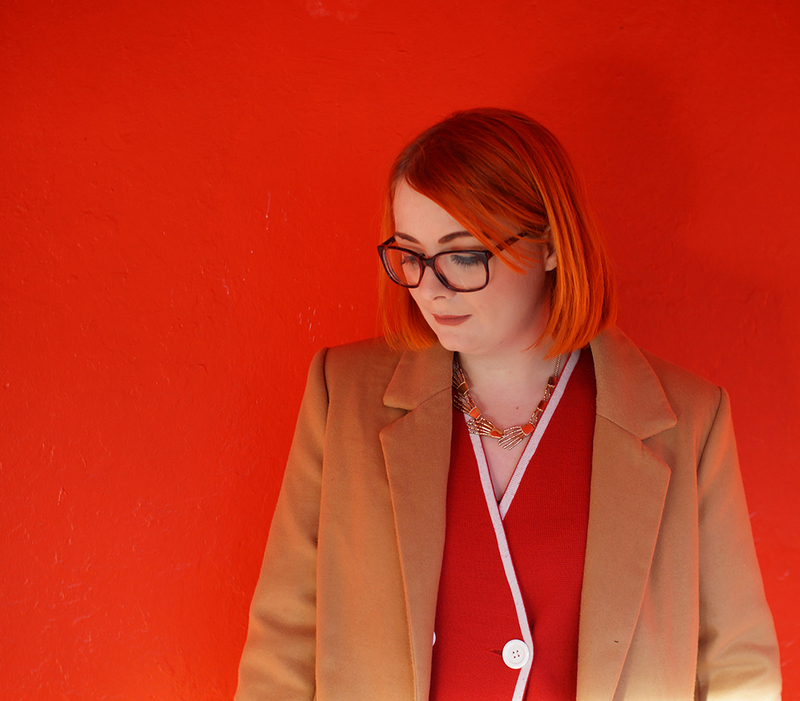 I decided to bring out my favourite bright red vintage cardigan. I found this 80's beauty in a charity shop and knew it was meant for me. It has an almost circus ring leader look about it as well as some intense 80s shoulder pads. I originally thought about wearing a dress but got the fear when the snow arrived. So alas I was not as brave as Kimberley & Helen and went for my 'go to' trousers. 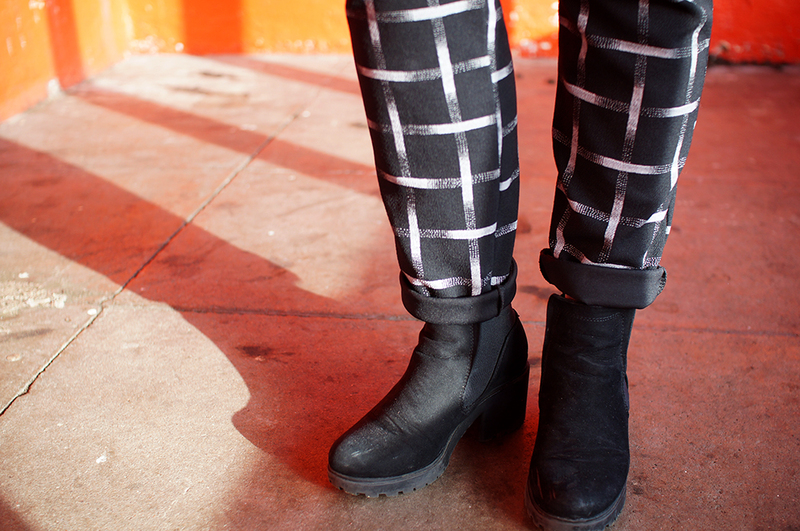 Seeing as I seem to be the self proclaimed queen of monochrome, these new look grid trousers are always a winner for me. Incredibly comfy and they go with almost everything. 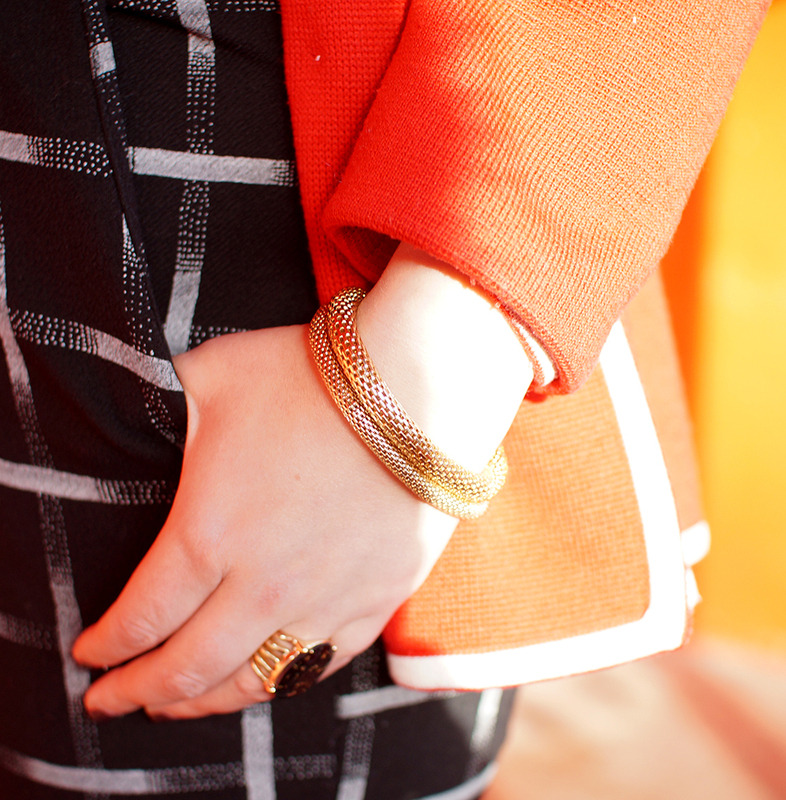 Lastly I completed this whole '80's power woman look' with some, slightly tacky but fabulous, gold jewellery. 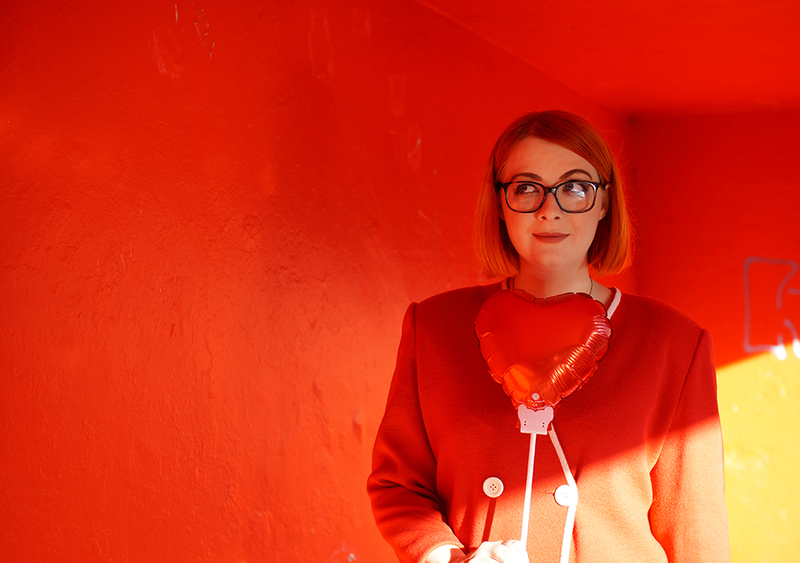 Since I was doing a shoot with my favourite glasses wearers, I felt it was only appropriate that I decided to put my own specs on. I'm not one for New Years resolutions but I've decided that this year I am going to try wear my glasses more. Mainly because, well, I need to be able to see but that I need to up my confidence whilst wearing them! Big thank you to the wonderful Wardrobe Conversation ladies for having me along and Boya Shen for those amazing pictures! 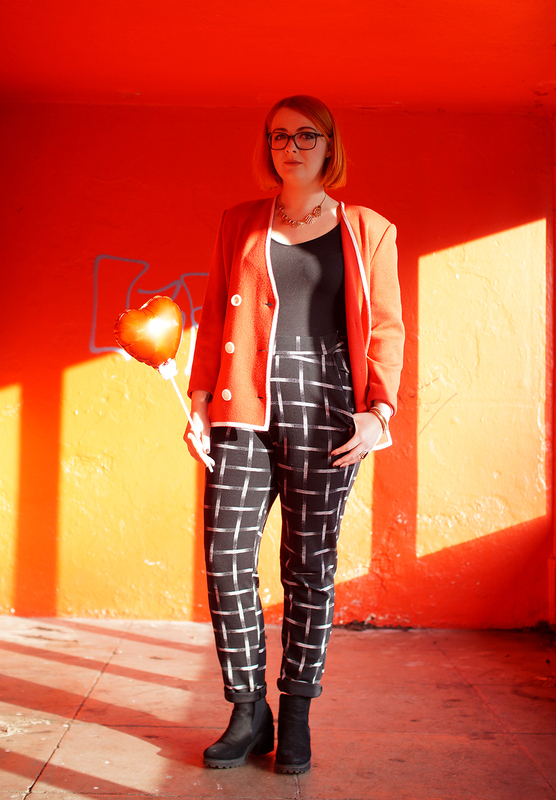 Thanks to Emily for being our guest and for withstanding the freezing temperatures to get these awesome photos. As well as her blog you can also catch Emily over twitter and instagram. 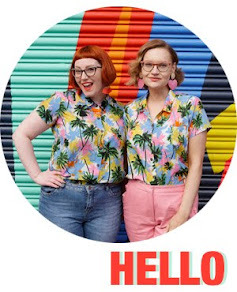 And if you fancy getting involved in Wardrobe Conversations and setting us a style challenge then do get in touch. You can find more details on our contact us page.